EMC is giving enterprises greater control over how corporate data gets distributed and to whom, plus more mobile capabilities, with the latest update to its Syncplicity service. When employees distribute links to data in Syncplicity via email, IT administrators can regulate what addresses go in the “to” field and force the employee to set up a password that the recipient has to enter before opening the link. As added protection, the links to those attachments can be set to expire after a certain period of time. 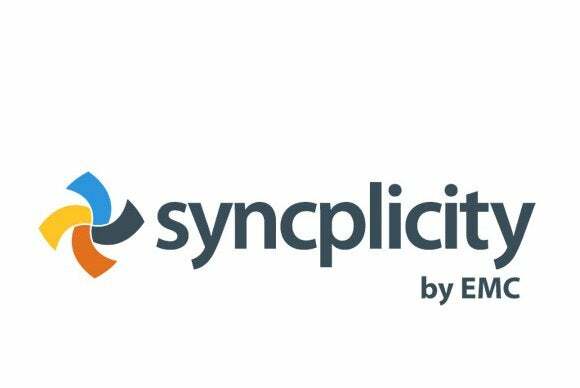 Syncplicity is EMC’s entry, acquired last year, in the market for cloud-based file sharing and synchronization. It’s up against enterprise rivals such as Box as well as consumer-focused services such as Dropbox. One way EMC has tried to set Syncplicity apart is by letting enterprises use it for access to data stored on their own storage systems, in a hybrid mode, if they’re not comfortable with the cloud. Syncplicity starts at a list price of $216 per user, per year, and goes down with larger numbers of users. Users already can avoid sending large email attachments by instead sending so-called Shared Links for accessing the data via Syncplicity. The new Syncplicity Secure Send feature is a set of tools for controlling and tracking the distribution of sensitive data, primarily outside an organization. Before an employee sends a Shared Link, the IT department can require a series of steps to help secure and track the data. For any given piece of information, an administrator can prescribe whom it can go to and what steps they need to go through in order to open it up. For security, Syncplicity can automatically generate a unique password for each link sent, based on password-strength parameters defined by IT. Once the email with the link has gone out, the sender can see whether each recipient has received and clicked on the link. Once the recipient has downloaded the file onto their own computer, Secure Send doesn’t control it anymore, said Jeetu Patel, vice president and general manager of the Syncplicity Business Unit. But the service can be integrated with EMC’s information rights management software, which can control operations such as copy, paste and print for a particular file, he said. On mobile devices, EMC now offers apps for Android and iOS that reside in a Good Dynamics secure software container from Good Technology on the mobile device. A key feature of the Good Dynamics container is its compliance with FIPS (Federal Information Processing Standards), Patel said. Syncplicity has also added tighter integration with Active Directory, allowing enterprises to automatically create and cancel Syncplicity accounts when they add and remove employees. This even allows the enterprise to remotely delete Syncplicity software on a device when the employee is terminated, Patel said.